Just got a note from Nathan Ward, who is in LA doing more on-the-ground research for his biography of Dashiell Hammett — needless to say, as soon as that one is available I’ll alert everyone who surfs Up and Down These Mean Streets. Yeah, To Have and Have Not by itself probably would have done it for her, made her a legend. 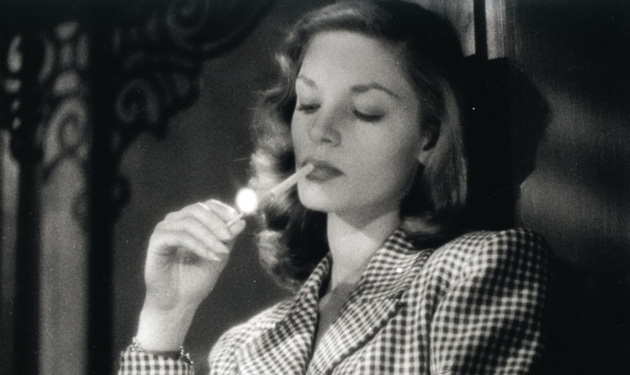 Image at top: Bacall lights herself up in To Have and Have Not. This entry was posted in Film, Lit and tagged Bacall, Ernest Hemingway, Nathan Ward, To Have and Have Not, William Faulkner. Bookmark the permalink.